Created by Masterwatch Maker Ludwig Oechslin. 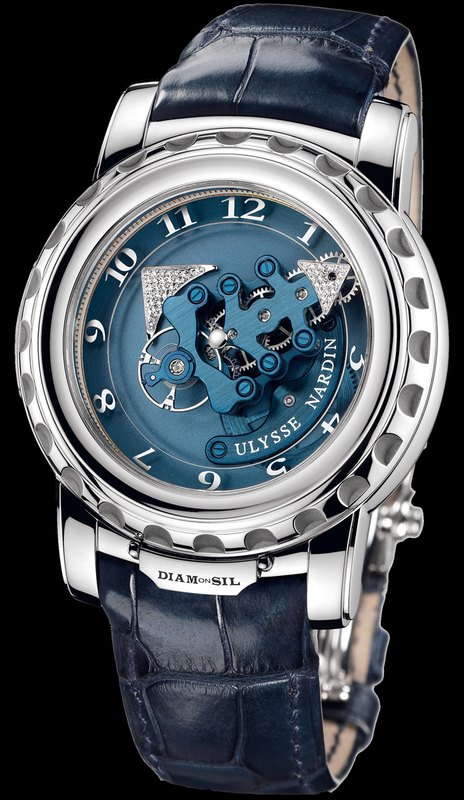 This is the Freak DiamonSil Tourbillon Carousel in a 44mm white gold case. This watch technically has no hands, no dial, and no crown to wind it with. Yet it is a Tournillon with a seven day power reserve movement. 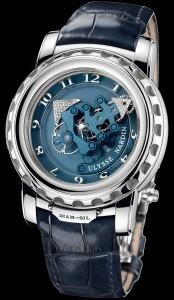 Available on a blue crocodile strap with a 18K white gold folding buckle.